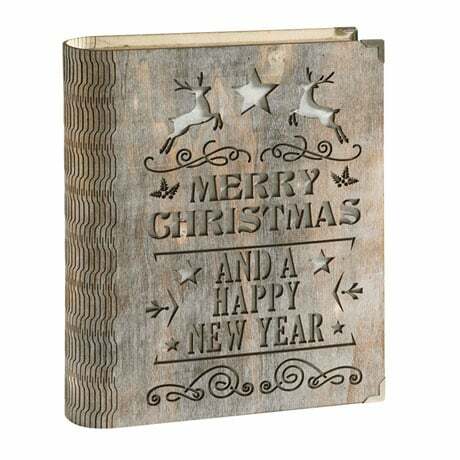 Add a bookish glow to your holiday décor when you illuminate the season with our Light Up Wooden Christmas Book! 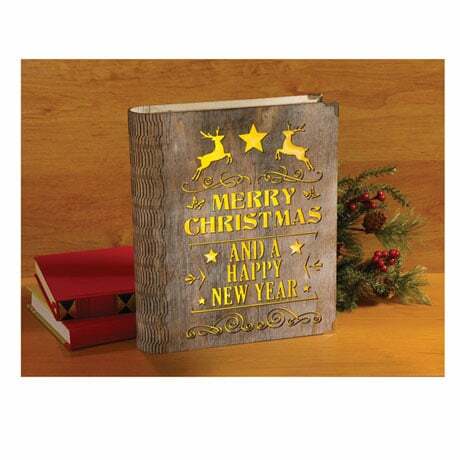 Made of lightweight wood with laser-cut "cover art" that features the message "Merry Christmas and a Happy New Year" accented with stars, holly, and two leaping reindeer, the 8"x9½"x2" volume lights up with a flip of a switch on the back cover. What a wonderfully bookish way for bibliophiles to deck the halls! Powered by two AA batteries, (not included).